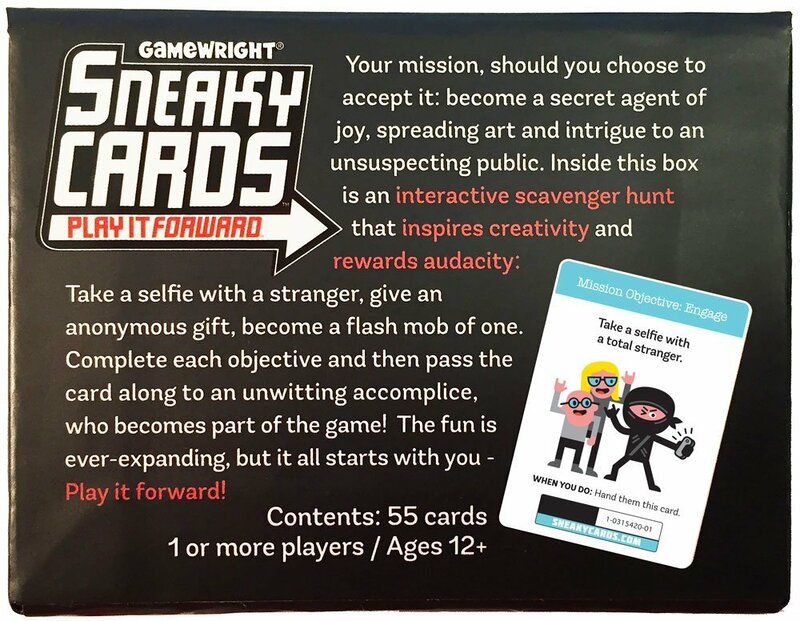 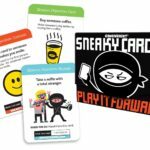 Sneaky Cards by Gamewright is an experimental game that provokes social interaction, artistic expression, creativity and imagination. 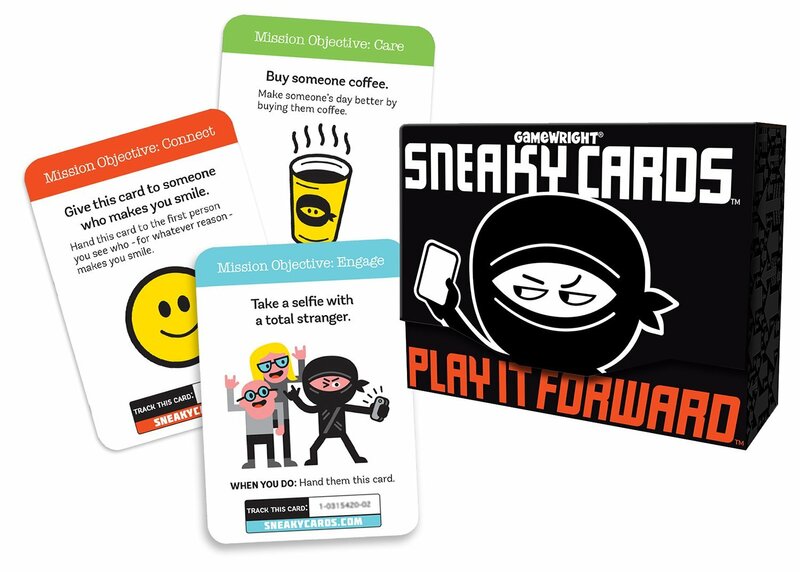 Sneaky Cards can be played by 1 or more players, aged 12 plus. 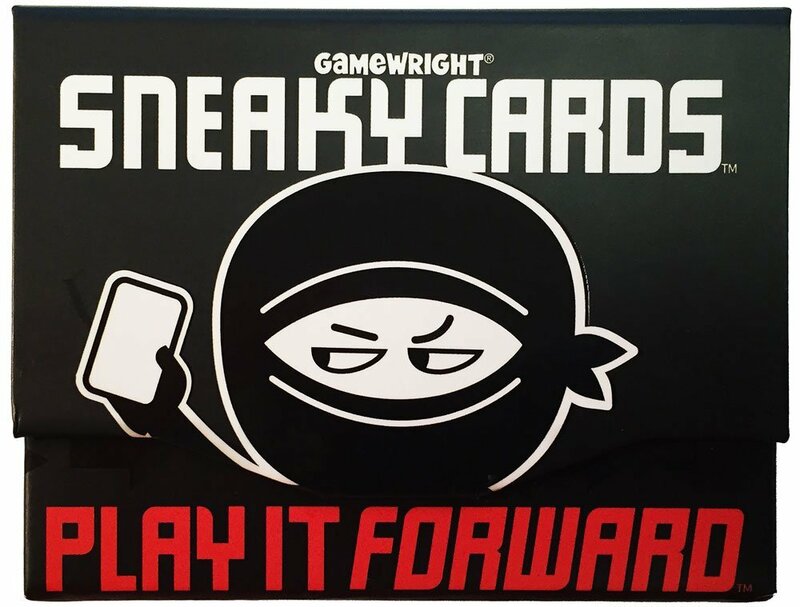 Help Primo chase away the primate pranksters by flipping and swapping cards in numerical order.